Fragrance: The fragrance is not generic Piñita Colada. I was expecting more of coconut, but it smells more like pineapples. Fresh pineapples with a whiff of coconut. The fragrance is very delicate, fresh, light, and not in-your-nose. Those with a sensitive nose will like it. The Body Shop Piñita Colada Shower Gel (Rs 450 for 20ml): The shower gel has a creamy texture. It lathers very well, and it is moisturizing. The fragrance does not transfer much to skin. The Body Shop Piñita Colada Scrub (Rs 1295 for 250ml): As an exfoliating agent, it contains shredded coconut. It was what that made me pick it up. But, the base is runny. While it does exfoliate a bit and it is utterly moisturizing, I fail to get real action from the scrub unless I use it more than I usually use other scrubs. The scrub is more like a luxury product – something you use when you wish to pamper yourself. 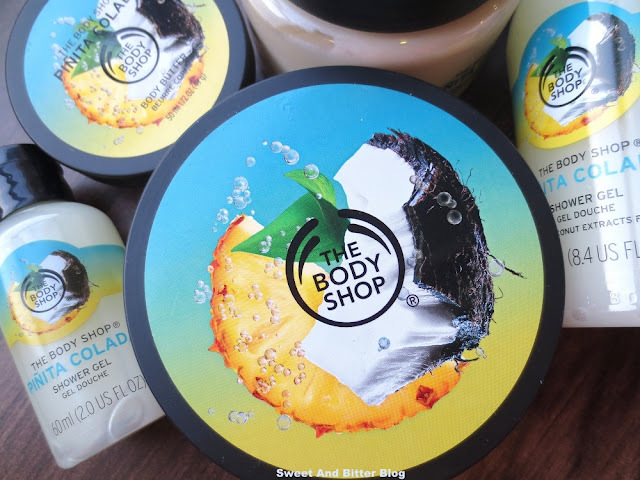 The Body Shop Piñita Colada Body Butter (Rs 1095 for 200ml): My favorite of the three. Designed for dry to normal skin, it has a fluffy light and non-greasy texture. It is moisturizing. I love how easily it get absorbed into skin – exactly what I am looking for when I am hurrying to get ready for office. The sweet fruity fragrance lingers on the skin for long. 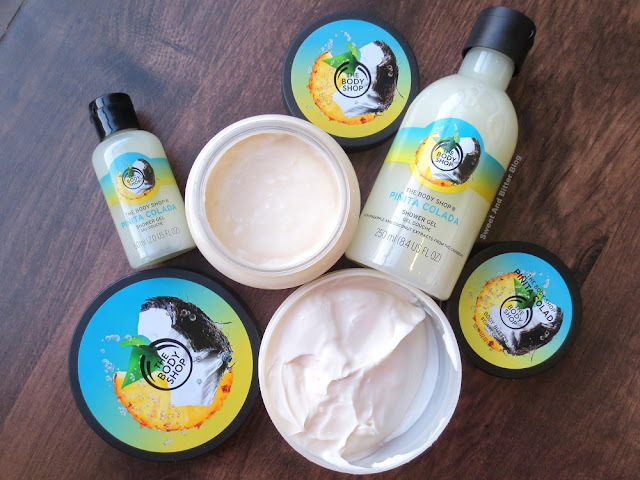 Overall: Made for normal to dry skin, all Piñita Colada has slightly moisturizing texture which sets it apart from other collections. 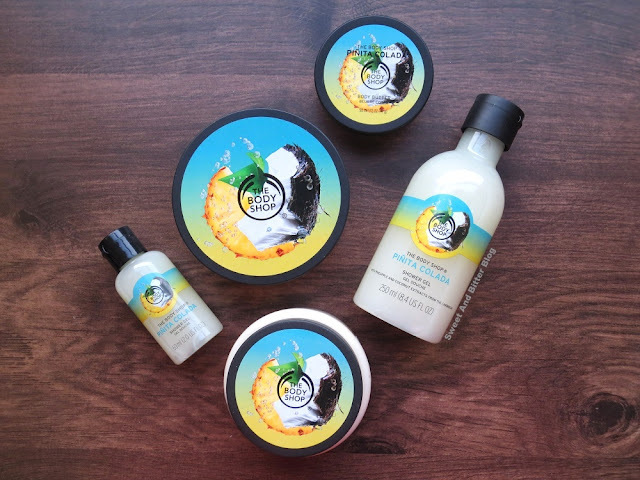 Do keep in mind that the fragrance is not generic Pinita Colada but more like fresh sweet Pineapple with a hint of warm coconut. If you have to buy just one product then it will be the body butter. PS: See those two minis? There is an Instagram giveaway for that. Do participate.